A surprised Persian cat wearing red cat-eye glasses on a stack of old books. Perfect printable wall art decor as a book lover gift for a bookworm. It would look wonderful in a book nook. A literary gift that you can download and print right now. 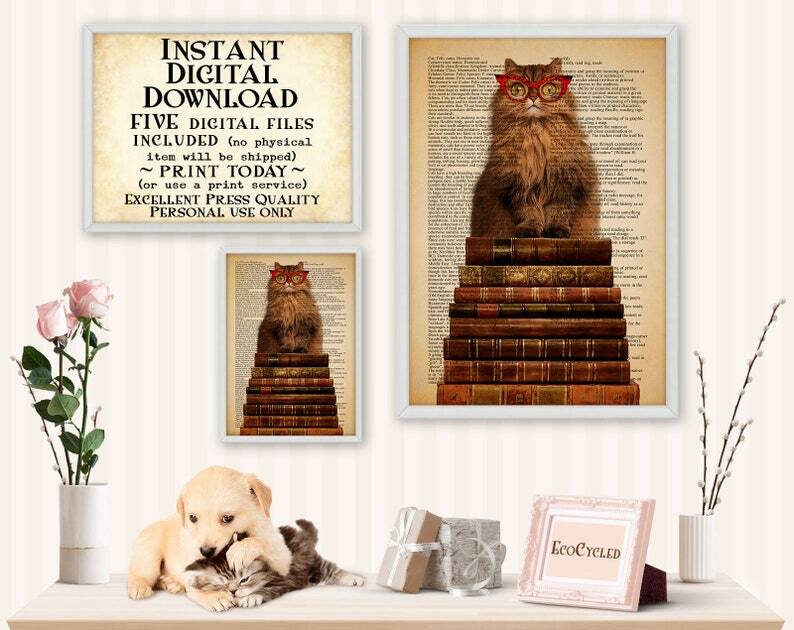 The background has the dictionary entries for Cat and for Read in the background, like a book art print.